Michael Lemke, professor of biology at the University of Illinois Springfield, has helped to construct a new exhibit that will soon go on display at the American Museum of Natural History in New York City. He was assisted by Keenan Dungey, UIS associate professor of Chemistry, who helped build prototypes on the Springfield campus. The exhibit, “The Secret World Inside You”, explores the rapidly evolving science that is revolutionizing how we view human health. It will open to the public on November 7, 2015 and end on August 14, 2016. According to the museum, the exhibit will explore the human microbiome. Our bodies are home to many trillions of microbes, including bacteria, viruses, fungi, and other organisms. In any human, microbial genes outnumber the genes in human DNA by more than 100 to one. This new perspective leads us to look at our bodies not just as individuals but as entire ecosystems. 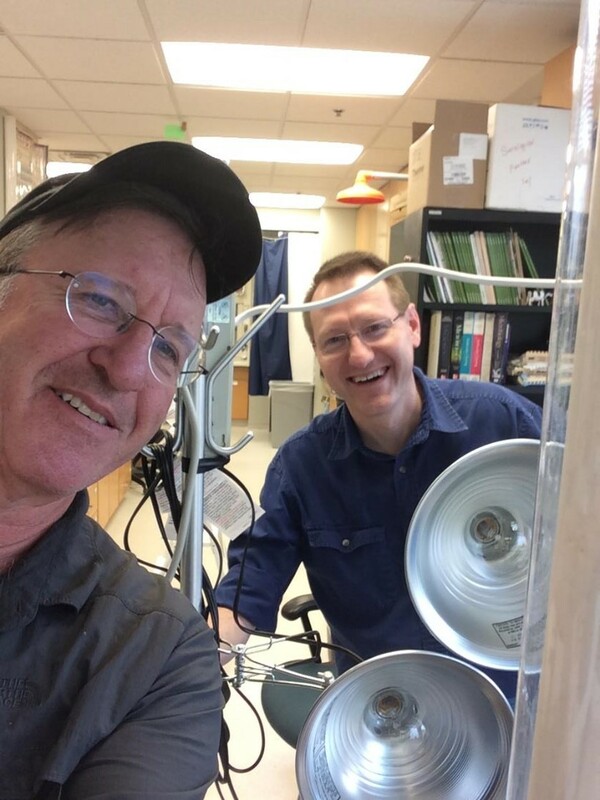 Lemke’s work with the New York scientists on the Winogradsky columns started as a teaching activity in 1999, led to a publication in a teaching journal, then to a time lapse video (published online) and finally to an invite in May to help with the exhibit. “The Secret World Inside You” will take visitors on a tour of the human body, making stops at places where microbes thrive: your skin—which, covering about 20 square feet, is your largest organ—and your mouth and your gastrointestinal tract, which is home to your body’s densest and most diverse microbial community, among others. “The Secret World Inside You” will explore these intriguing questions and more with interactive activities, videos, and a live theater where a presenter will show visitors how scientists are navigating this exciting new field of research.